Elia is one of the most beautiful beaches of Mykonos. Some say that is the best beach of the island. Visit it to find out yourself! 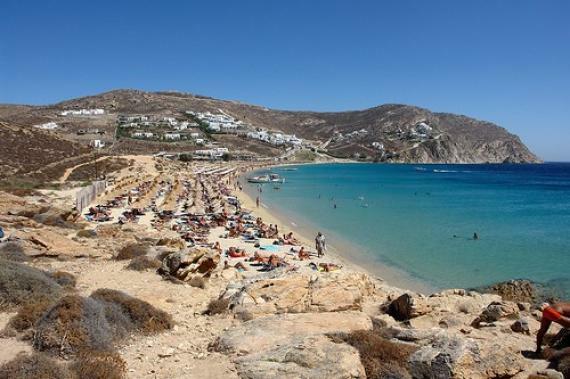 This beach is 8 km from Mykonos town, is quiet and peaceful and it will steal your heart. Main characteristic of the beach is the endless golden sand. Here you can enjoy the summer and the hospitality of the locals. Τhe simplicity and austerity of this place it will be the cause to love it! DO: Relax and feel like a star near to the famous visitors! DON'T: Miss to eat fresh seafood. Find information about selected Hotels, apartments and rooms in Elia to choose the perfect place for your accommodation.